Pink can be whimsical. Pink can be bold. 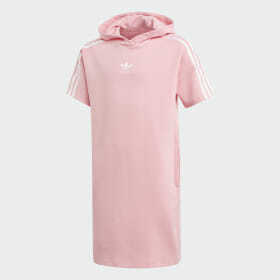 Transcending gender stereotypes, pink clothes for men and women show originality and imagination. Get playful in pastel with Dust Pink or make a statement with bold Shock Pink. 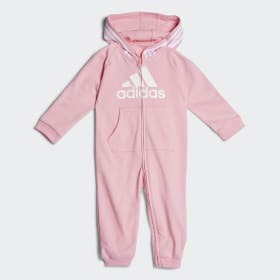 From training pants to track suits, pink shirts and pants from adidas allow you to express yourself whether on or off the field. 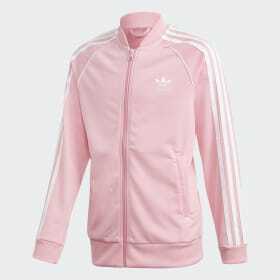 Accent your outfit with a pink tank or sports bra to show your drive while training or go head-to-toe with a pink track jacket and matching pink pants. 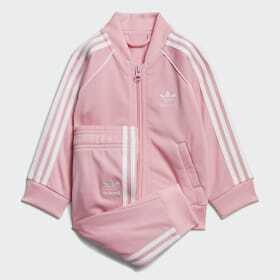 The adidas track suit is a true original—take it up a notch and show your flair for streetwear. 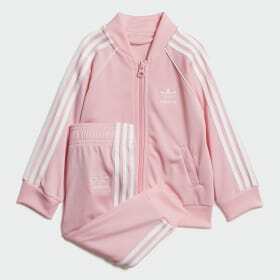 Show your soft side with pink sweatpants made of cozy fleece or a French terry Trefoil hoodie. 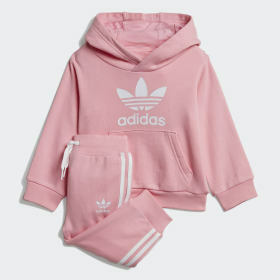 Whether you’re getting comfy or sweating it out, pink clothes from adidas are a unique way to change things up.